This zinc plated gate cane bolt is designed to be used on horse barn wood gates, doors, double doors, and wooden driveway gates. 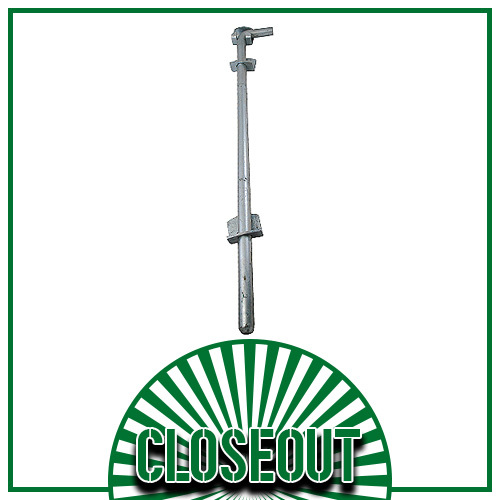 The cane bolt anchors one gate, while the gate latch acts as a stop for the other gate. It comes with a variable bolt throw and holder to store the bolt in the open position and to prevent its removal. The cane bolt is designed for vertical and horizontal applications.